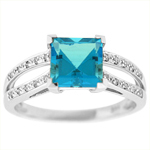 Blue Topaz Ring with Diamonds: This blue topaz ring with diamonds has a 8x6 oval shape blue topaz with baguette shape diamonds on side. 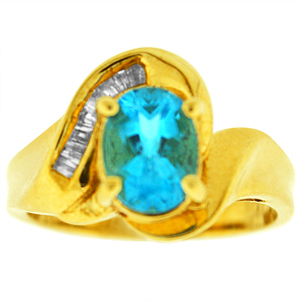 Diamonds and blue topaz are set in 10 karat yellow gold. 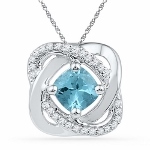 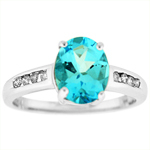 Blue Topaz is also the birthstone for December.